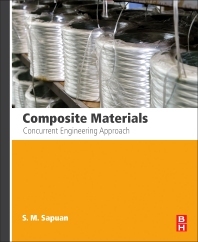 Composite Materials: Concurrent Engineering Approach covers different aspects of concurrent engineering approaches in the development of composite products. It is an equally valuable reference for teachers, students, and industry sectors, including information and knowledge on concurrent engineering for composites that are gathered together in one comprehensive resource. CE Seems to be an Obvious Route to any Sort of New Composite Product Development: How it is Differentiated?